If you're thinking about leasing a Volkswagen Atlas, Tiguan, or Golf in Johnson City, Tennessee, give Wallace Volkswagen of Johnson City a call to talk about your options. We recommend Volkswagen leases to our customers who drive less than 15,000 miles per year, or who like the security of upgrading to the latest Volkswagen model on a regular basis. Plus, when you lease a Volkswagen car or SUV from Wallace Volkswagen of Johnson City, you can rest easy knowing that we'll take care of your unexpected repair bills and stay on top of routine maintenance. So relax! Consider a Volkswagen lease. At Wallace Volkswagen of Johnson City, we have one of the best selections of Volkswagen models for lease in Johnson City, TN. Looking for a roomy family car that combines power and performance? Check out the new Volkswagen Atlas. Or, what about a sporty Volkswagen Tiguan, or even a classic Volkswagen Jetta or Beetle spiffed up with upgraded technology and features packages? Give our sales team a call to schedule a test drive of one of these fantastic Volkswagen vehicles, then stop by and see our finance department to talk about your Volkswagen leasing options. The finance department at Wallace Volkswagen of Johnson City has all the tools at their fingertips to help Johnson City, TN drivers get a fantastic deal on a new Volkswagen car or SUV. From competitive automobile loans and vehicle trade-in values to our regular finance specials, we've got your back. 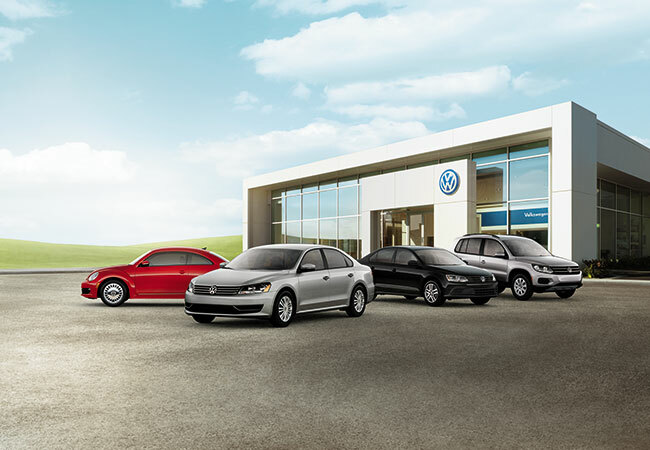 Schedule an appointment with our Volkswagen finance department today.